The Pittsburgh Penguins have came a long way in their first fifty years in the National Hockey League. All season the Penguins have had their immaculate history on display, either through documentaries, pre-game introduction videos, and "class" reunions with Penguins' teams of old prior to home games. The Penguins have played in two arenas, hoisted four Stanley Cups, and played for 50 seasons in arguably the best sports league in the world in the best sports town in the world. A few players have their their mark on the hearts and minds of Pittsburgh Penguins fans all over the world. There may be some argument to the numbering, or men on the list - but that's part of the fun of any list. Let's begin by rustling a few jimmies. Sidney Crosby after his 1000th point celebration. I don't need to present to you Sidney Crosby's resume. Just last week you saw Sid list a backhanded shot, with one hand, and shelf it over the goaltender. You counted him out last year. The media said his career was over and Sid just had one too many concussions, and Sid led his team to another Stanley Cup. 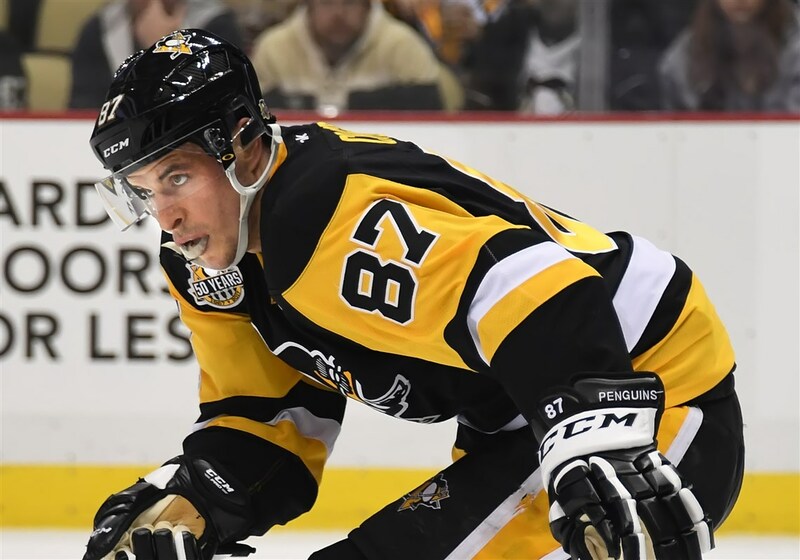 Sidney Crosby is at the top of his game. The old-timers will tell you that Mario Lemieux was better. I've seen them both play, and without any hesitation I will tell you that with both players in their prime - Sidney Crosby runs circles around Mario Lemieux. Sidney Crosby has finally crossed the threshold, he is the best Penguin of all time. 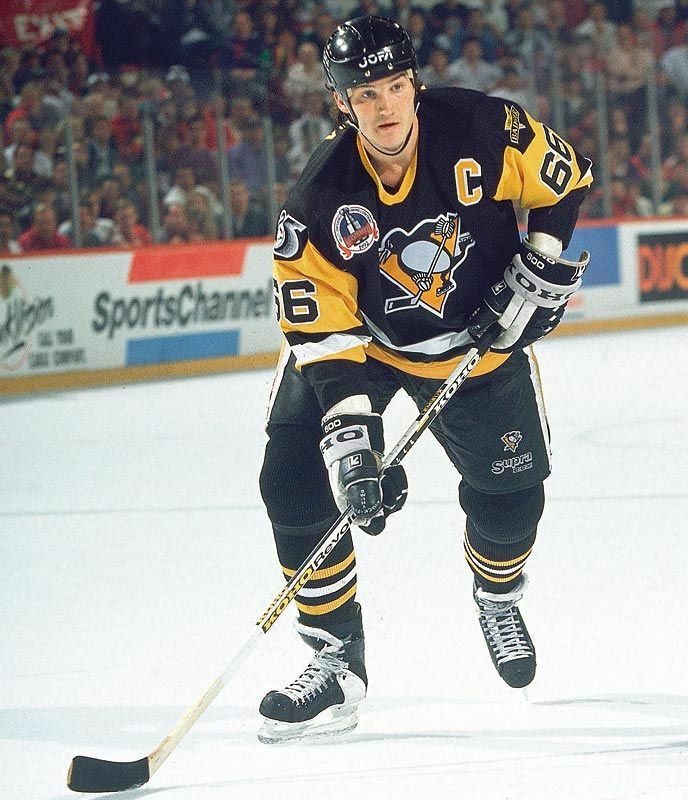 Mario Lemieux wearing the 25th Anniversary jersey, and one of the most iconic jersey styles in Pittsburgh Penguins' history. I won't even bother explaining this one. It's Mario. You probably thought he should be the top of this list. He put the Penguins on the map. If it wasn't for him, you might not even be a fan of the Penguins right now, because they'd probably be in another city. After he retired, they tried to move again and he bought the team and kept them here. If we're counting front office work and work on the ice, Mario is clearly number one. But for just on ice accolades, he's earned his spot at number one - but Sid stole the show. Jaromir Jagr wearing the always iconic Jofa bucket and the Robo-Penguin jersey. You've cheered him, you've booed him. Love him or hate him, everyone has their opinion on Jaromir Jagr. He's the second highest scorer in NHL history, and a lot of his history (and his only Stanley Cup history) is with the Pittsburgh Penguins. 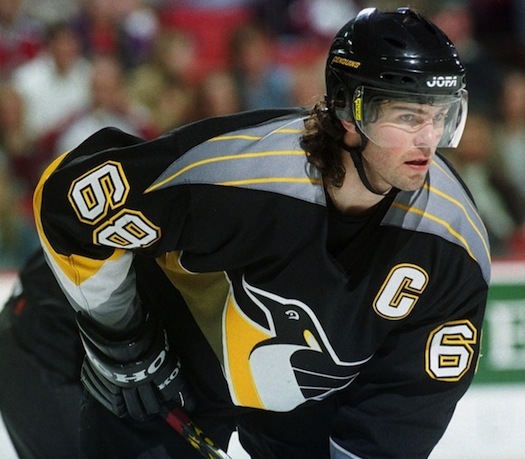 For a lot of the 90's, especially when Mario had health issues, Jaromir Jagr was the one-man band that led the Penguins to an almost guaranteed playoff entry. If you don't like Jagr, you probably just don't understand him. He's a true mercenary, and just goes for the highest pay. That's probably why he has the highest cumulative earnings of any professional hockey player ever - a stat that might be the most important in hockey. Ron Francis showing off the puck from his 1000th point. A staple of the "Sky Line" with Mario and Jaromir, and the center piece of arguably the most important trade in Penguins' history...well, the Phil Kessel trade may top the Ron Francis trade in time, but let's go with it. Ron Francis scored over 600 points for the Penguins and was the Wayne Gretzky of the Pittsburgh Penguins...in that he had at least a secondary assist for every goal scored while he was in the same arena as the goal. Evgeni Malking being Evgeni Malkin. Evgeni Malkin will probably wind up way higher on this list as his career furthers in Pittsburgh. I feel like I might have underrated him a bit as it is, but Malkin always performs better when you underrate him so cest la vie. Paul Coffey transitioning zones and prompting a breakout, or as Paul Coffey calls it 'playing hockey'. Paul Coffey was the best Penguins defenseman of all-time. He embodied the phrase "the best defense is a good offense" in that he never spent much time in the defensive zone to have to worry about that side of the game. He had some great training prior to his time in Pittsburgh playing with the Edmonton dynasty. Your Bobby Orr enthusiasts will say that Paul Coffey can't hold a candle to Bobby Orr, but they only say that because when Bobby Orr was good candles were the primary form of lighting in American households. Paul Coffey was the best defenseman in the 80's and 90's, which was the most entertaining timeframe in hockey history - so just take for what it's worth. Marc Andre Fleury making the save that every aspiring goaltender hopes that one day they can make. He's making the save that saves the Stanley Cup from a shot made by a NHL Hall of Famer. 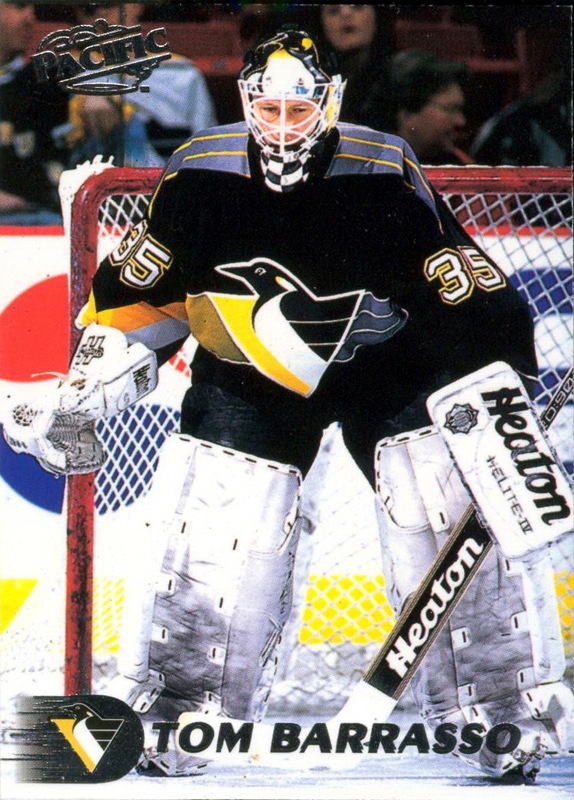 Tom Barrasso in the infamous Robo-Penguin jersey. Tom Barrasso leads the Penguins in all-time goaltender fan angst. He was frustrating in net, but more consistent than anyone else we had. He won two Stanley Cups with the Penguins - he belongs on the list. Kevin Stevens wearing the often-criticized, but loved Rangers knock-off jersey. Kevin Stevens only leads one category in Pittsburgh Penguins history, penalty minutes - but that wasn't necessarily his forte. Kevin Stevens was a power forward who was able to score, crush a skull, and draw a penalty all on the same shift. Kevin Stevens was an X-Factor that the team needed to push itself to win a Stanley Cup. And he managed to score 555 points as a Penguin, earning him a spot in the Top 10. Jean Pronovost in the pre-helmet era. Honestly, Jean Pronovost deserves to be in the Top 5. 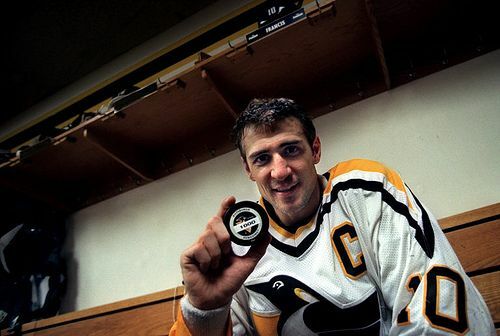 He was one of the only reasons to watch hockey in the pre-Lemieux era. He was part of the Century Line in the early days of the Penguins, and is on the Top 10 in both games played and points scored for the Penguins all-time. Only pre-Lemieux era Penguin had to make the list, and Jean deserves the bid. Ummmm...NO! I love Sid, but in my humble opinion, he is not better than Mario. Kudos for acknowledging Ronnie's greatness. Yes, Pronovost should be in Top 10 however that is Syl Apps pictured. Love the detail, but Mario is # 1,Jagr, #2. Not saying Crosby couldnot get there...but I do not see it. Sorry man.